Yes, I really drank the shot of Blissful Lengths after this photo. I've officially knocked back 6 bottles of CURLS Blissful Lengths Liquid Hair Growth Vitamin! This journey has been pretty darn dope. As I was banding down my hair to go to the gym (a style that resembles two cornrow braids, minus the braids lol) last night, I couldn't stop smiling. My hair is GROWING y'all! Day by day, it's getting closer and closer to that 2014 greatness, and I'm beyond thrilled. 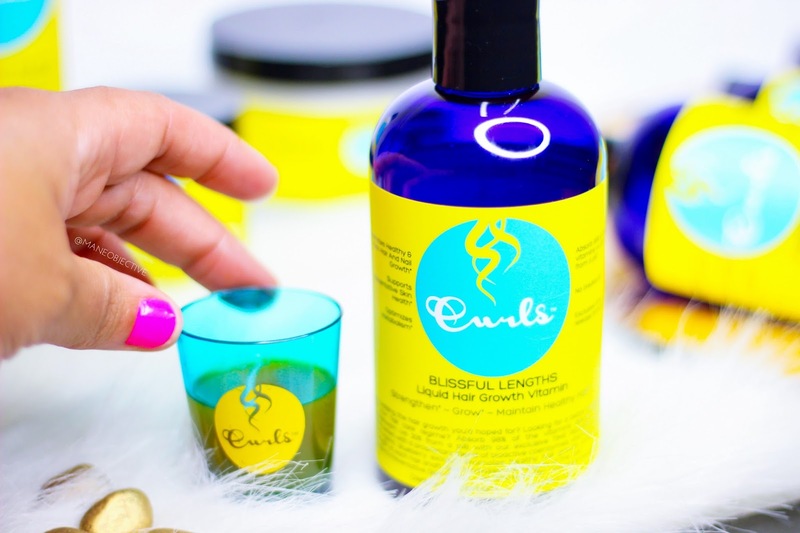 CURLS Blissful Lengths Liquid Hair Growth Vitamin has been an integral part of this journey - not only because I got the opportunity to experience a liquid vitamin, but because it also taught me how to not over-complicate things. I've said it before, and I'll keep on saying it - we naturalistas tend to over-complicate this hair thing. And I'll be honest - I'm about 98.4% sure "influencers" are at least 75% to blame. 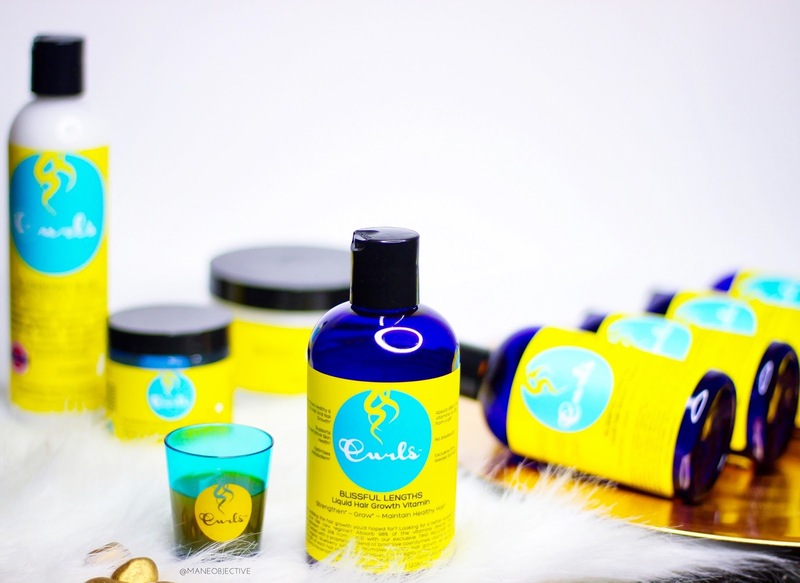 With new products coming out every 5 minutes, reviews flooding all corners of the internet, hopping on the latest greatest DIY trend, and natural hair products proliferating onto store shelves at never before seen rates - it's no wonder that we stray from the basics and have so much difficulty cutting through the noise. We all have challenges with our hair, that we'd like to resolve as quickly as possible. My burden has been ridding myself of what remains from color damage. And as I embarked on this journey with CURLS Blissful Lengths Liquid Hair Growth Vitamin to help expedite my solution, I thought about incorporating "other things" to help me further along - like nightly scalp massages, holding off on trims, and even tucking my ends away into buns during the week to protect and prevent splits and breakage. There's nothing wrong with these things (except for the not trimming part), in theory. But in practice for me, they had the strong potential to sway me off course. So I rejected them, in favor of a simplistic approach to hair growth. I knocked back a shot of CURLS Blissful Lengths every evening, and went on about my business. If they worked, they worked. If they didn't, they didn't. No cheats, no extras, no funny business. Onward and upward...well, outward and downward. Lol. Check out my list of pros and cons here. Not the best of comparison pics BUT if you can see the difference in the curls, then you know it's real! The bottom line here is... they freakin' WORK! I don't know what this sprint to the finish line was between January and February, but umm... I've NEVER....ever...ever...seen over an inch of growth in a month. I measured my hair four times to make sure I was seeing correctly, and I knew my numbers. When you take into account that I trimmed about 1/2 inch off my hair in December - I've grown and retained 2 and 1/2 inches of hair. Skipping the trim would have put me at 3 inches - which means I averaged an inch of growth a month. That's above and beyond my standard 1/2 to 3/4 of an inch that I see unassisted. 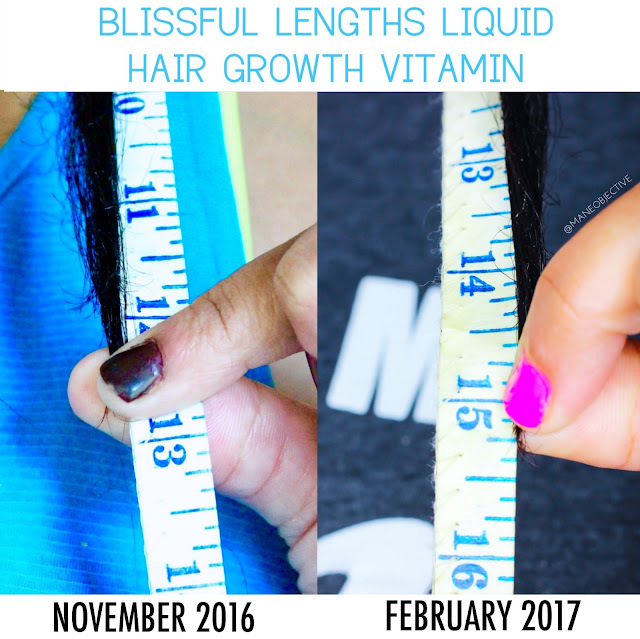 Without CURLS Blissful Lengths, my hair would have grown at maximum, 2 and 1/4 inches. Subtract the trim, and we're talking 1 and 3/4 inches. So yes, I'll gladly take that extra 3/4 of an inch. That's big money in the curl world. 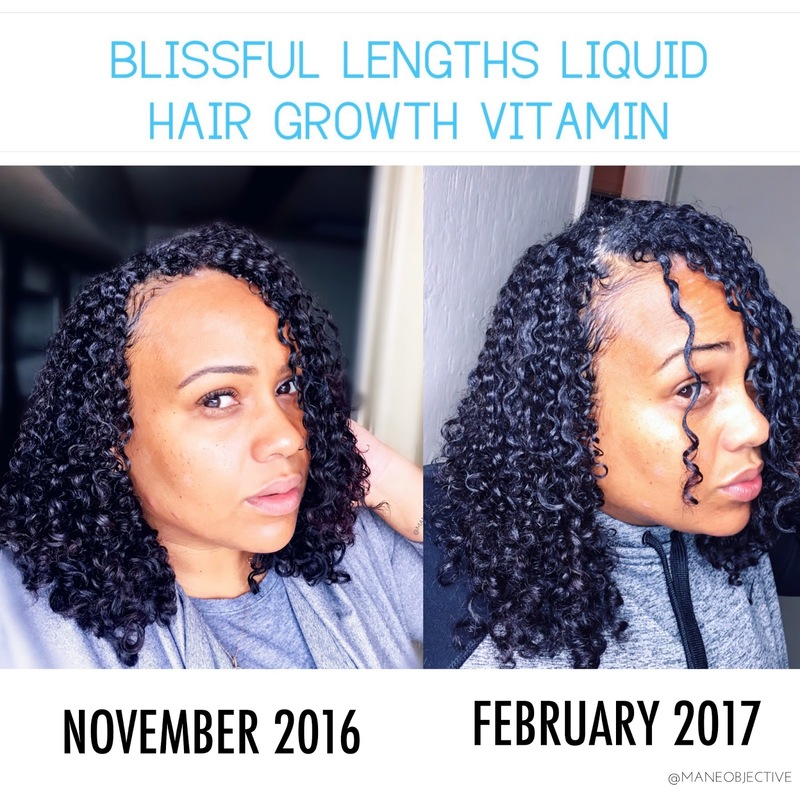 Overall, I'm incredibly pleased and excited about my hair growth progress with CURLS Blissful Lengths. These vitamins work, y'all! Absolutely. Easy to take, with proven results in my book. 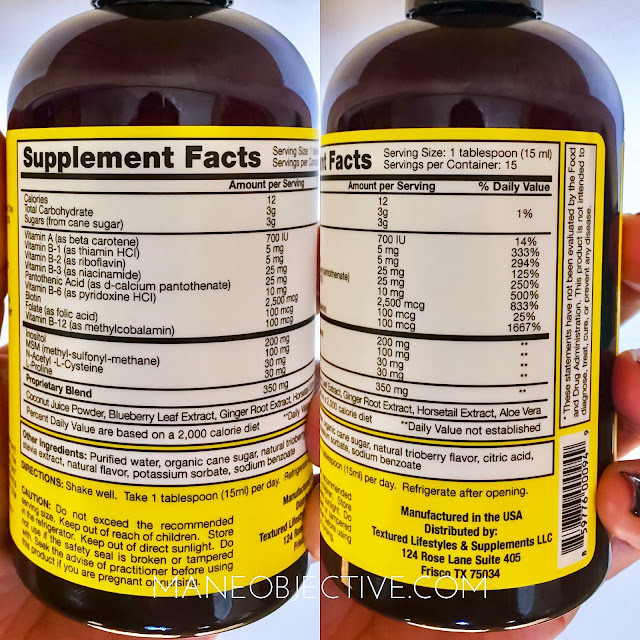 Got questions about the vitamins that I didn’t answer here? Check out my FAQ or leave ‘em in the comments below! Don’t forget to follow @frizzfreecurls on Instagram to get all the details on the #GrowAndSlay challenge! You can win some forreal for serious dough! Follow my #GrowAndSlay Journey on the blog, here! I had never heard of this product! I'm gonna have to stop by my target to get one. I'm too low maintenance with my natural hair and I haven't been seeing much progress. Maybe this will help. I definitely think it will! I've been trying to cut the frill and fluff from my own regimen. I think simplicity, good products, and supplements are the way to go! Hi Christina, do you have any coupon codes for the Blissful lengths growth serum? Hey hey! Unfortunately I don't. :( I wish I had thought of this earlier! The NEWCURLS45 and NEWCURLS35 coupon doesn't always work on the website but when it does, it is a great savings! I LOVE this vitamin! YES!!! Loved your review on these vitamins!!! My results have been stellar!!! I'm now on my 8th bottle and I have been taking them faithfully since October!! I'd recommend them to anyone! Great review and great results. Thanks for sharing. I know that hair vitamins are usually also good for your nails. Did you notice any difference in the length and strength of your nails? I have just taken my first shot of blissful lengths this evening.I am feeling much better today now that I have read your review. Ur hair Looks amazing girl and I am definitely hoping for same results !!! Thanks for sharing!